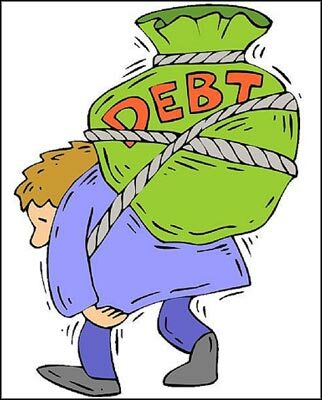 Publilius Syrus once said, “Debt is the slavery of the free.” Indeed he is right, as an unabated number of dental students face the imminent threat of being covered in massive financial debt after finishing their studies. And, even though the lifetime reward of becoming a dentist may sound lofty, with the recent economic downturn, decreased public spending, declining interest in insurance plan applications/renewals, much is to be said and done before any newly-practicing dentist can truly enjoy his/her profession. Dental students are among the most intelligent people who deal with everyday financial woes. A majority of dental students are leaning on frugal living to reduce accumulated costs. There has been a steady decline of students opting to pursue a dental career because of the fear of dental school debt. And who could blame them – the average dental student graduates with nearly $300,000 in debt, a figure typically charged by premier learning institutions. Even in online forums, US students are nowhere near shy to disclose their amassed debt; they also give advice to aspiring dental students on how to carefully choose their schools. Surely enough, with fortitude and hard work, students are able to complete write off their private loans in two to five years’ time of practice. Dental students who’ve lived and studied in the metro have a better grasp of real life professional spending. They also certainly know how to study harder than most people in different career paths, since a failing subject – or worse, an added year in study – can both defer dreams and increase unneeded debt. 1. Car – Owning a vehicle of your own not only reduces stress – it’s also practical for busy people whose productivity gets impaired by commuting. Dental students travel day-in day-out for various reasons: research, medical missions, unwinding, family retreats, etc. 2. Lodging – Many dental students hail from towns/cities that are too far from universities and some do not have any nearby relatives where they can stay in during their university tenure. University residences/dormitories are the perfect solution for studious busybodies. Though costly, the time to get up from bed, do morning rituals, get to the classroom, go back to the dorm to study is apparently hassle-free if all of it is done in the same building/campus street. 3. Computers, gadgets, data plans – Frugal living is far off the university student’s way of life. High-end electronic devices such as desktops/laptops, portable reading devices, and smartphones (w/ monthly data plans) are expensive, yes – but they are practical for learning, creating presentations, juggling resource-hungry learning software. Most students opt for more expensive brands, since feature-wise, these devices can take the load off any student’s shoulders. Smartphones have the feature to view DOC and PDF files, watch video clips (for saved webinars), and have the capability to act as a modem when tethered to a laptop. In the strictest sense, laptops and other gadgets may seem like a luxury, but for the majority of students who want to focus on their studies than rummaging the entire campus for available workstations and projectors – these devices compound to a better learning experience and reduced hassle when used properly. The Cheapest Dentist or Best Dentist – What’s Your Pick? © Copyright 1996 -2016. ChicagoDentist.com, All rights reserved.